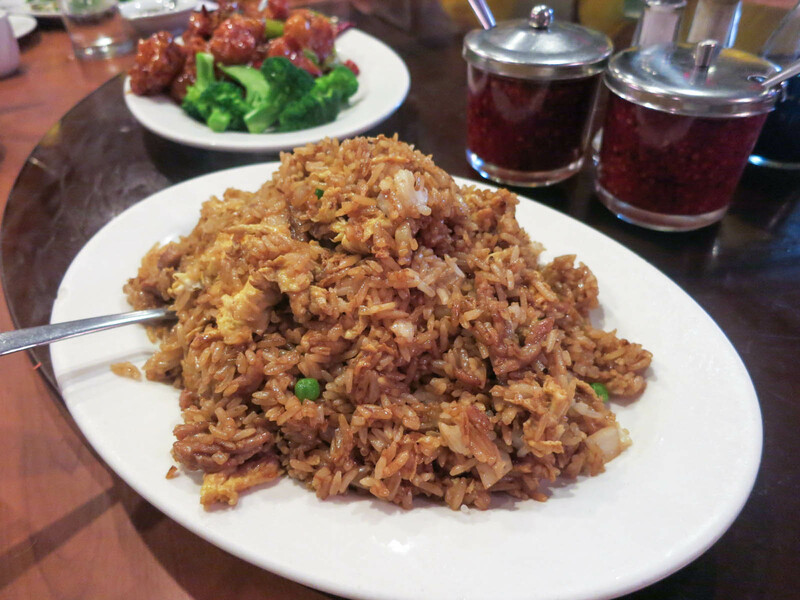 Joe’s Shanghai is a Chinese restaurant located in Chinatown in New York City. 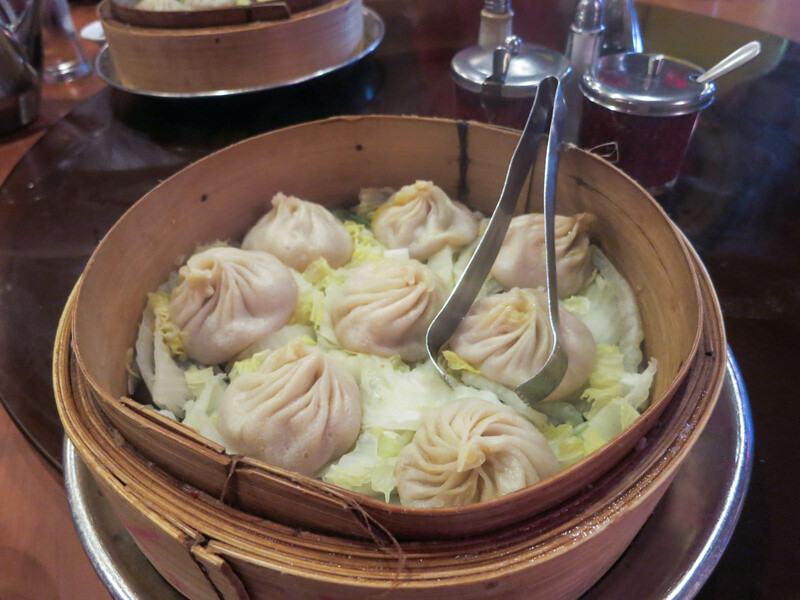 They specialize in Shanghainese style food and they are well known for their dumplings. Like a true Vancouverite I was really craving some noodles after a week of eating lots of Italian food on vacation. 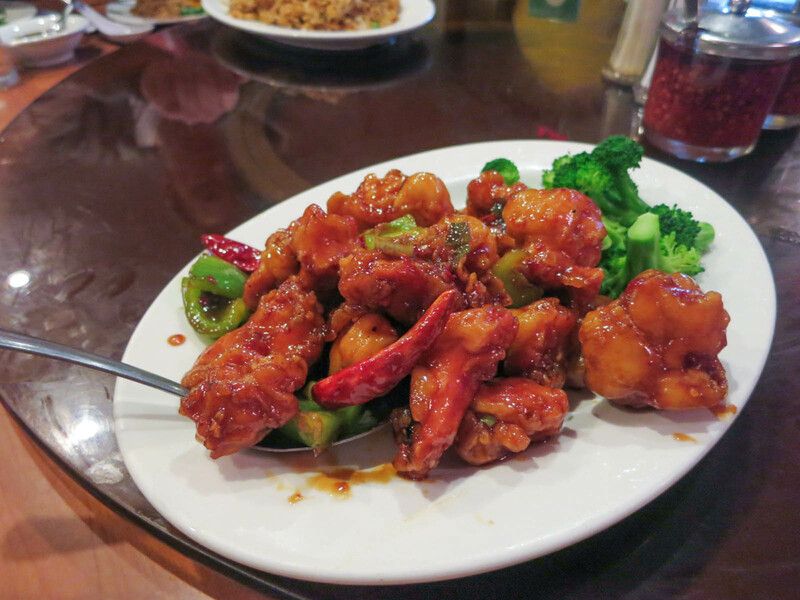 Joe’s Shanghai is known as being one of the top Chinese restaurants in the city and I was interested to see how it would compare to Vancouver Chinese food because I have been pretty spoiled with amazing dumplings. The pan fried pork dumplings were a good way to start the meal. The bottom was very crispy and the pork filling inside was juicy and tender. 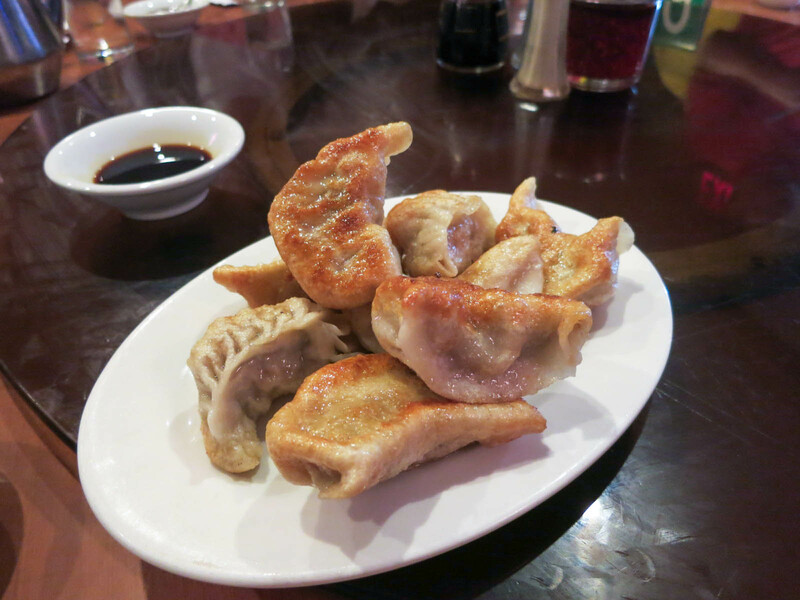 The steamed pork dumplings are one of Joe’s most popular dishes. These dumplings were quite large and definitely larger than most dumplings I have had. The insides were super juicy, however the dumpling skins were a little thick. These were still good though and something you have to order when you come here. The chicken rice cakes were another hit for me. 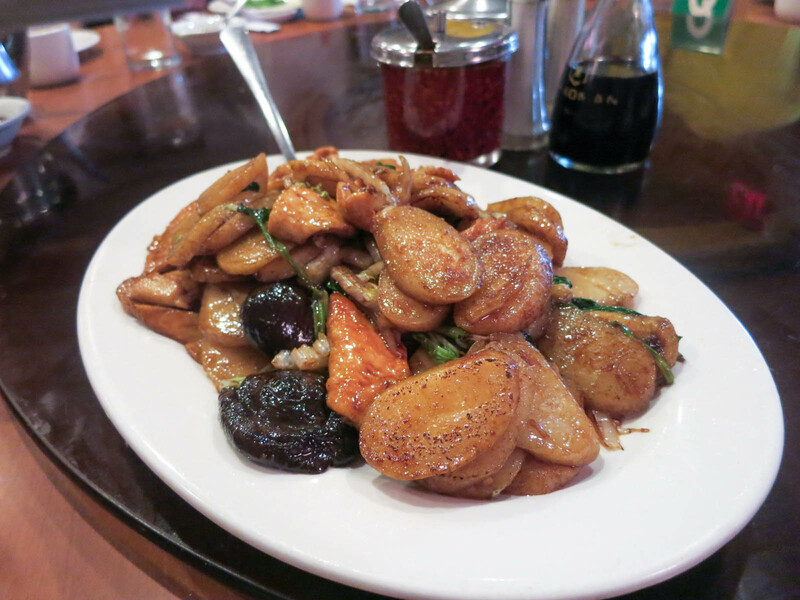 The rice cakes were thick and chewy and there were lots of large chunks of chicken and mushrooms mixed in with them. 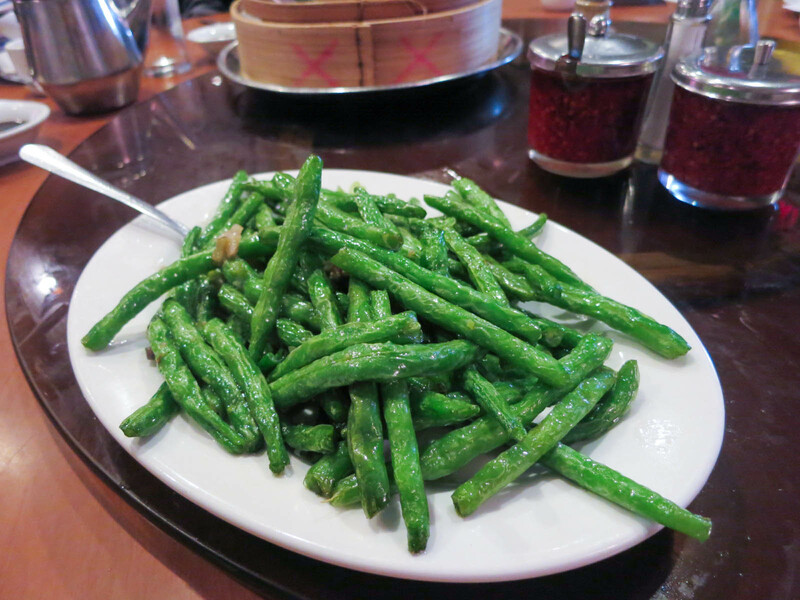 The green beans were really good. They were lightly crisp and crunchy on the outside and they didn’t have a waxy texture. The beef fried rice was okay. I found it to be a bit too wet, heavy, and soaked in soy sauce for my liking. The general tso’s chicken wasn’t that great. The pieces of chicken were pretty dry and the sauce was okay, but a bit uninspired. The shanghai noodles were one of my favourite dishes. The noodles were cooked perfectly and had a nice smokey flavour from the wok. There was also lots of spinach and meat throughout them. 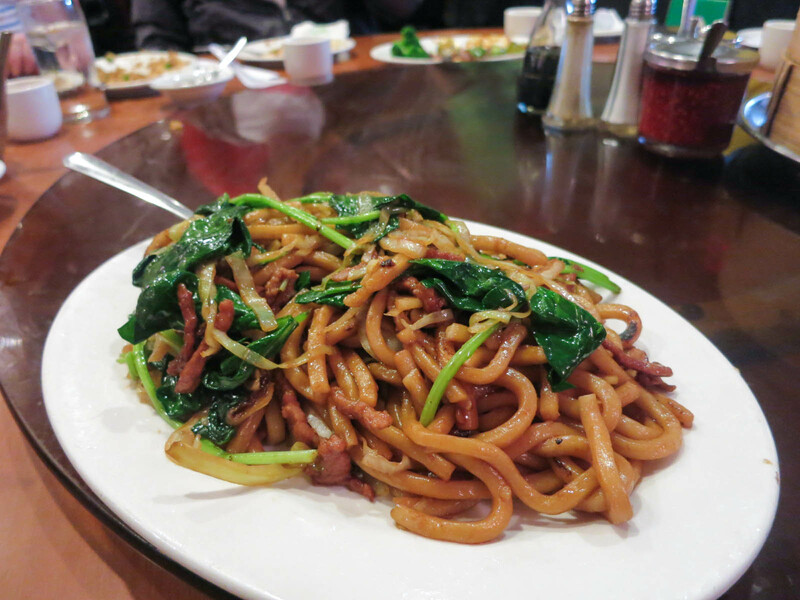 Overall the food at Joe’s Shanghai was pretty good, especially if you stick to the noodles and dumplings. It was also cool to get the authentic Chinatown experience although I think Vancouver still has better Chinese food. Everything was reasonably priced and the food came out fast and fresh. Yes, for good Shanghainese noodles and dumplings. Ugh! I was searching for a place in Chinatown Vancouver where I could get Shanghai Rice Cakes and this came up. You say Vancouver is better – where should I go? !